I got the name Tayo Conga after the legendary percussionist of Sir Orlando Owo, Ade Conga who has been a great Inspiration to me. I grew up and found myself drumming. I started drumming at the age of 4. My grand father was a drummer…. my late dad was a multi instrumentalist musician.. music is in the blood (lol). I’m a graduate of Philosophy, finished from Olabisi Onabanjo university. Yes! I’m currently working on my project. 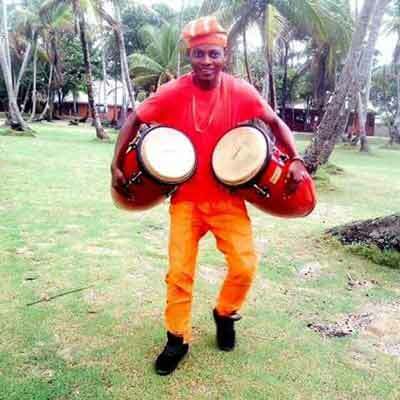 I am a tourism entertainer who promote art, culture and tourism with percussion esembles. Back to my country… I got inspired by work of Late Abami Eda (Fela Anikulapo Kuti) and Lagbaja omo Baba muko muko. Without any doubt, percussion has come to stay in Nigeria entertainment industry….. you hear percussions mostly in every current song releasing by our hardworking Artists now…. 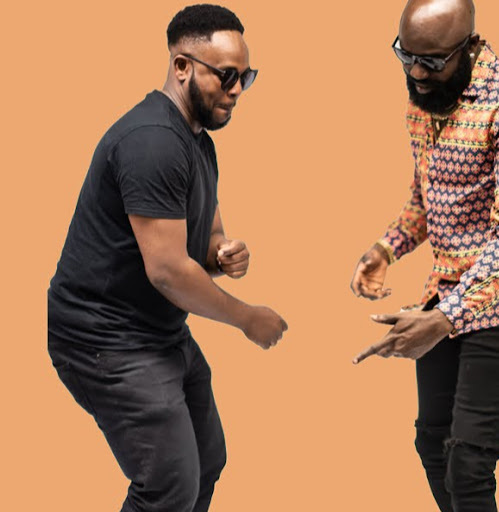 most of the artist are coming back to the root by going back to the studio and release songs that has to do with African sound…. it was in the past that people will look down on you when you tell them you drum for living. I would have become a secret agent (DSS) if I’d not sign up for drumming as a profession. I’m an African percussionist and ready to promote the originality of arts, culture and tourism to the global stage. TAYO AJAYI popularly known as Tayo Conga, is a professional percussionist whose dexterity caught across all genre of African music. A graduate of philosophy, finished from Olabisi Onabanjo University. He is currently the creative director of Tumbadora African Beats Entertainment, showcasing different African drums which attracts fusion music by blending Apala, Hip-hop, Afro, Highlife, etc. with percussion ensembles. Ron Kenoly, Kim Burrel, Mike Abdul, Soji Israel, Efe Nathan, Patricia Uwaje-King,Ibitayo Jeje, Tope Alabi, Prince Debo Ojubuyi, Jonathan Kome, Tosin Bee, Beejay Sax, Odunayo etc. Tayo Conga added more international caps to his feather by performing at Lagos International Jazz Festival 2015 and 2016, he also performed at the grand finale of Felabration 2015, Late Muritala Mohammed Foundation(NGO), National Association of Petroleum Exporationist (NAPE) African night in 2015 etc. Tayo Conga has brought back originality and he is adding more value to Nigeria Music/Entertainment industry using conga drums through the expressions of arts and culture. He is dexterous, energetic, creative and excellent in his crafts. He was nominated as the best percussionist in Nigeria at NIGMA 2015. Tayo Conga stand in promoting the originality of Arts, Culture and Tourism in Africa and beyond with the beautiful talent.